Carolina Care is a private group of emergency physicians based in Columbia, SC. Initially formed in 1995.Thegroup has undergone rapid expansion over the last few years to provide for the needs of the metropolitan area. Currently employing over 60 physicians, Carolina Care is one of the largest private physician groups in South Carolina. Currently Carolina Care provides emergency coverage at Palmetto Health Richland, Palmetto Baptist Medical Center, Palmetto Health Parkridge, Providence Hospital, and Providence Northeast. Combined patient visits at these institutions emergency departments was nearly 250,000 last year. 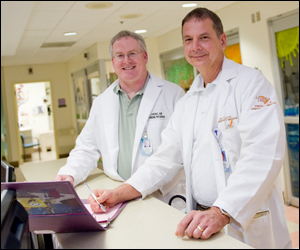 In addition Carolina Care provides physician staffing at the Palmetto Health Parkridge Urgent Care Facility.